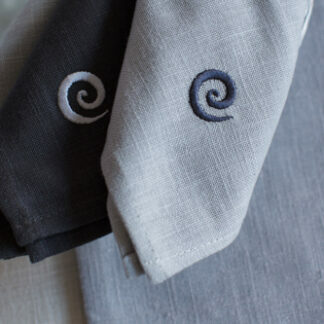 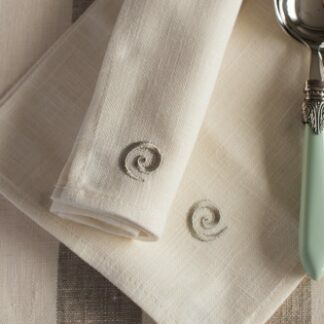 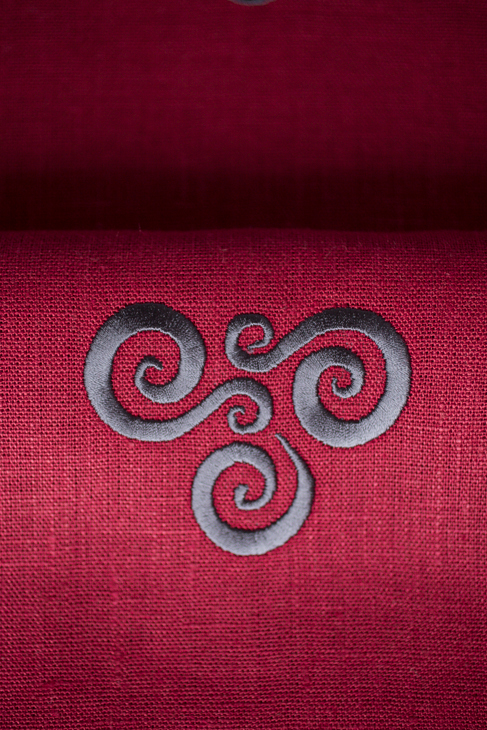 Our Pre-Celtic motifs are based on concentric circles found in Newgrange here in Ireland. 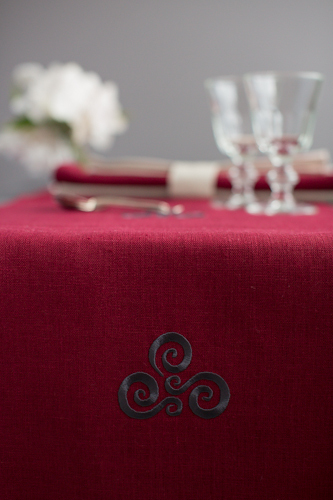 Newgrange is a magical place and so this collection should bring lots of magic to your table. 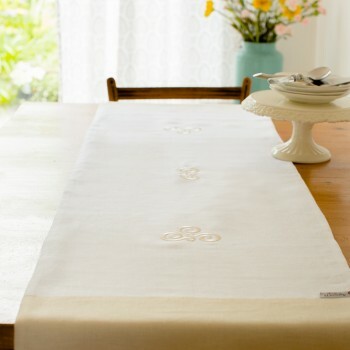 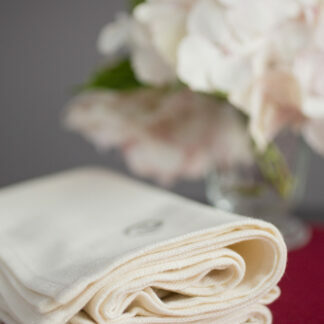 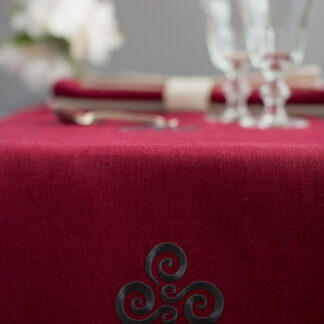 This Rósóg table runner is a truly beautiful 100% red linen, which can, depending on the light can give a number of different colour tone, all being equally rich. 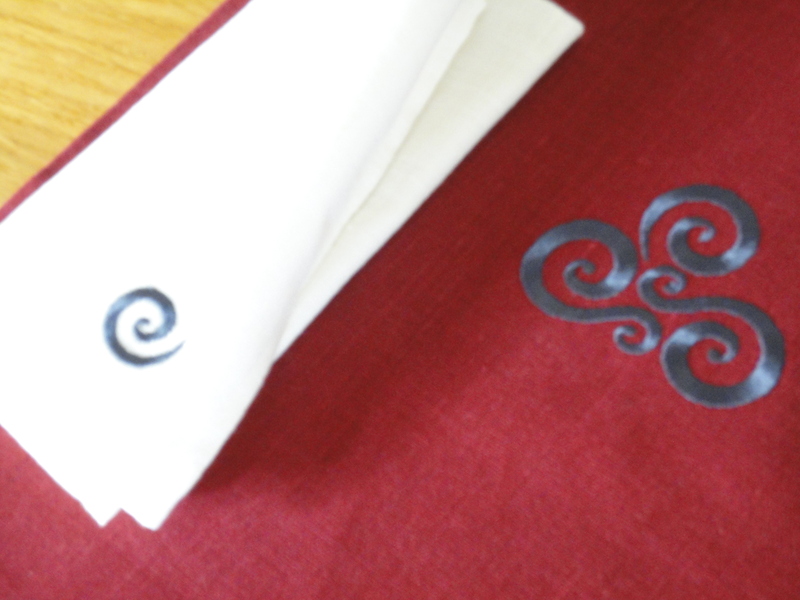 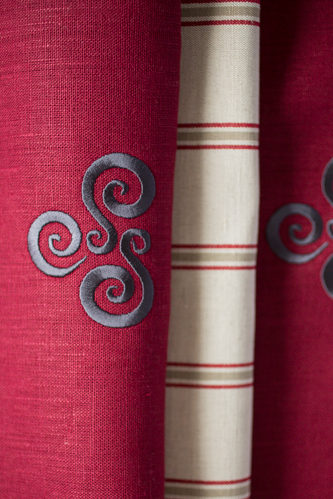 Embroidered with “Newgrange” motif in colours of Red and gunmetal grey which are very contemporary. 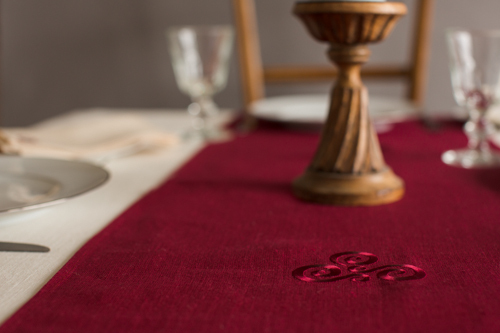 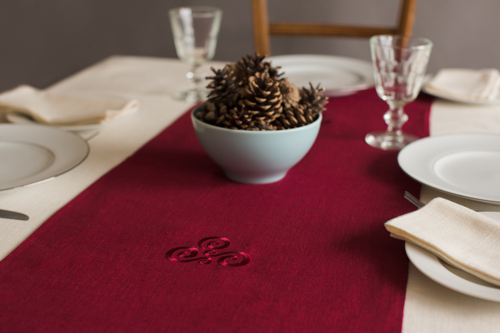 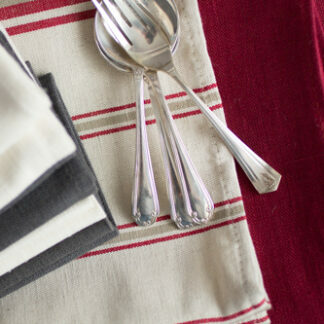 The Red embroidered on Red works great on a Christmas table. 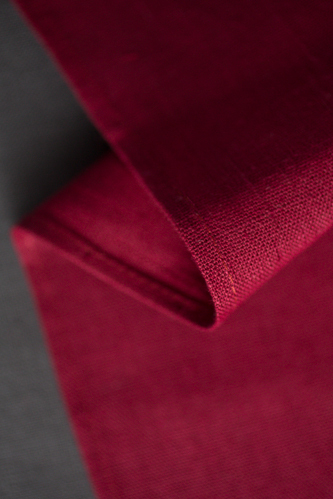 Colour: Deep Rich Rose Red. 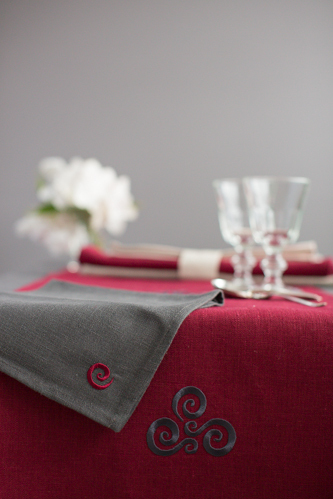 Embroidered in: gunmetal grey and red on red.